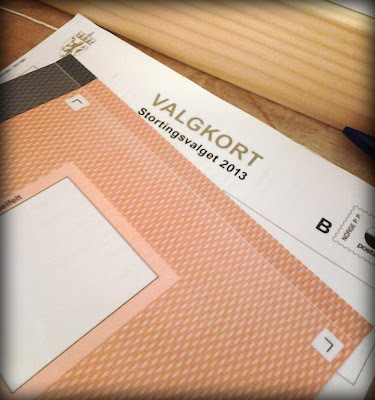 Happy Small Things: I voted! Like I said on Friday, there's an election in Norway today. This year it's the general election (as opposed to the election we'll have in 2015 that will be a local election). The polling places opened at 9 am, I was there around 9:15. My polling place is located at a primary school, and the school children were playing around in the school yard as I entered the place. It reminded me of my childhood when my primary school also was a polling place and how exciting I found the elections. I think every time all the school classes were allowed into the place and the polling place manager would explain and show to us how to vote. I was anxiously waiting for the time when I would be able to vote myself. As I was to leave the location today, I saw a school class entering and I hope those kids feel the same excitement as I did. 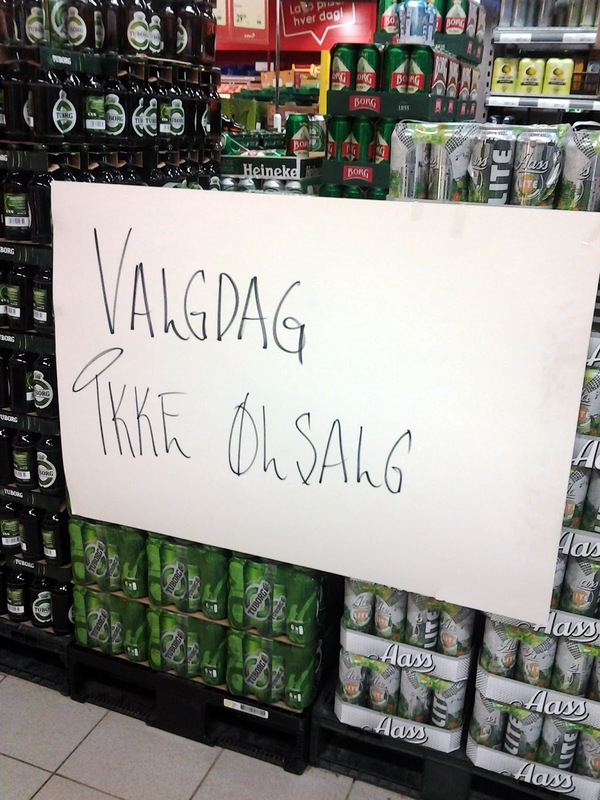 On my way back home I dropped by the grocery store, and there I saw one of the more curious things about election day in Norway. Election day. No beer sales. The stores are not allowed to sell beer, and the liquor store is closed. I don't know when the law about no alcohol sales on election day was passed, but I find it interesting that it is still there and that it doesn't seem like any of the parties are trying to remove it. I hope all my Norwegian readers has used their right to vote this year, and I hope the rest of you will use your right the next time your country holds an election! And I don't know if it varies between the different states, but my American husband says that where he used to live, even the bars were closed on election days.